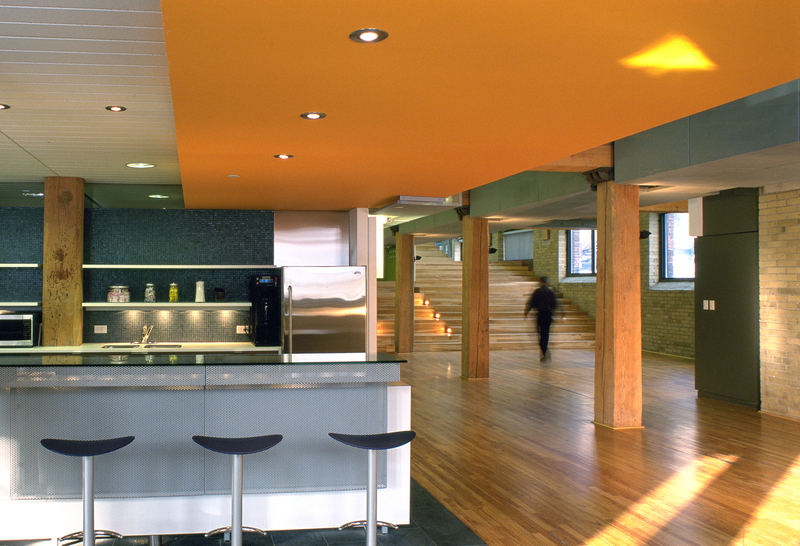 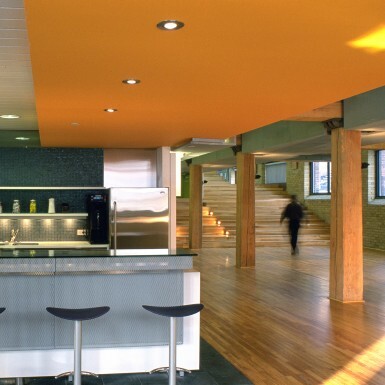 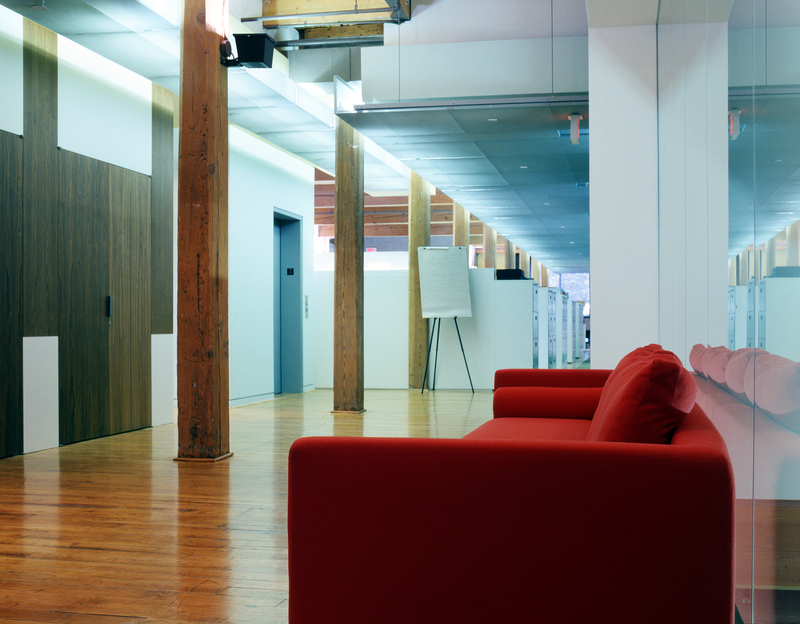 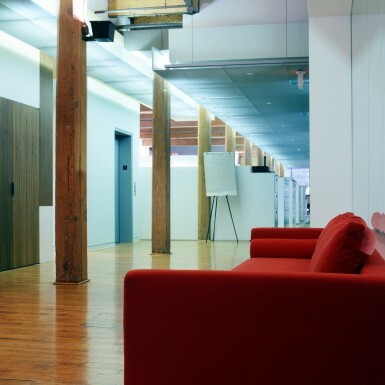 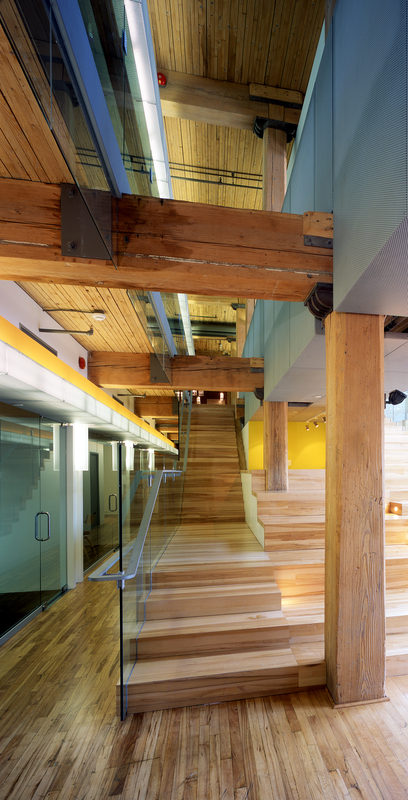 This warehouse conversion in downtown Toronto reflects the creativity, interaction and innovative thinking that epitomizes the philosophy of this industry-leading advertising agency. 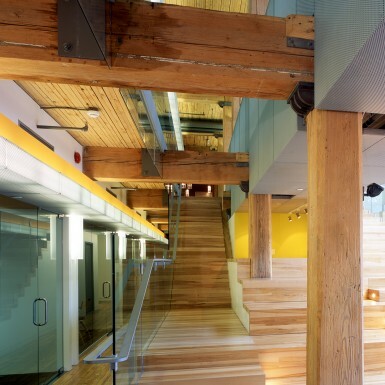 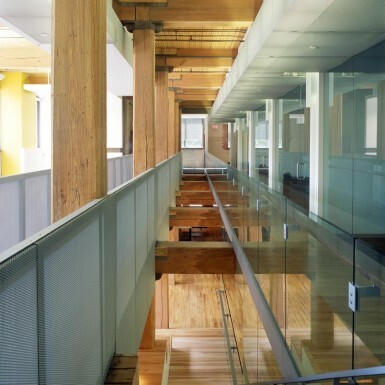 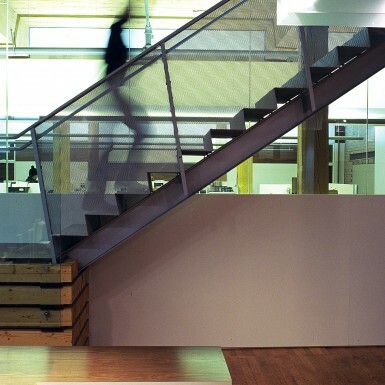 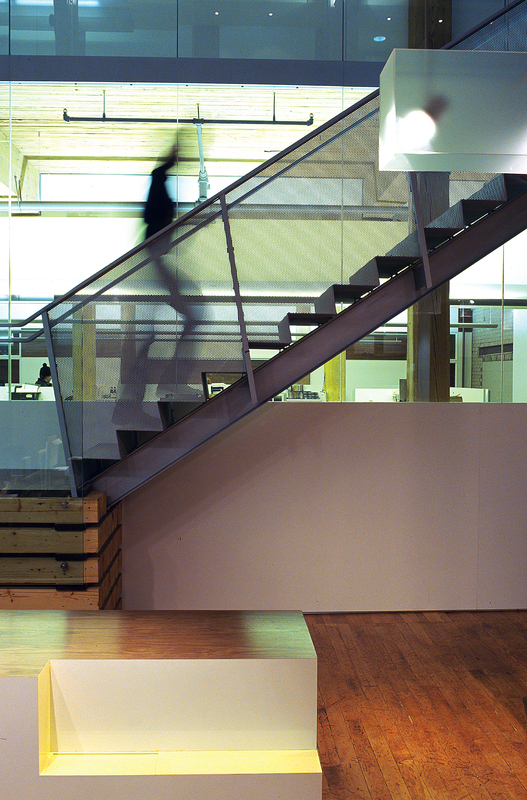 A strong sense of inter-connection is achieved through the use of a wide stair running through a double-height space from the lower level to the main floor. 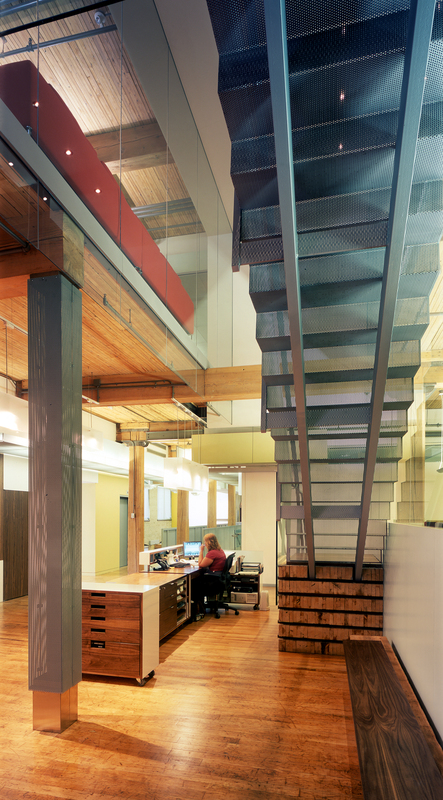 This generous circulation space doubles as a gathering area for presentations, informal meetings and social events. 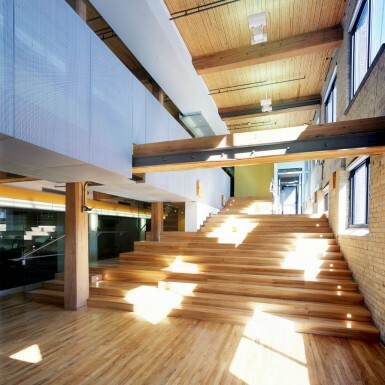 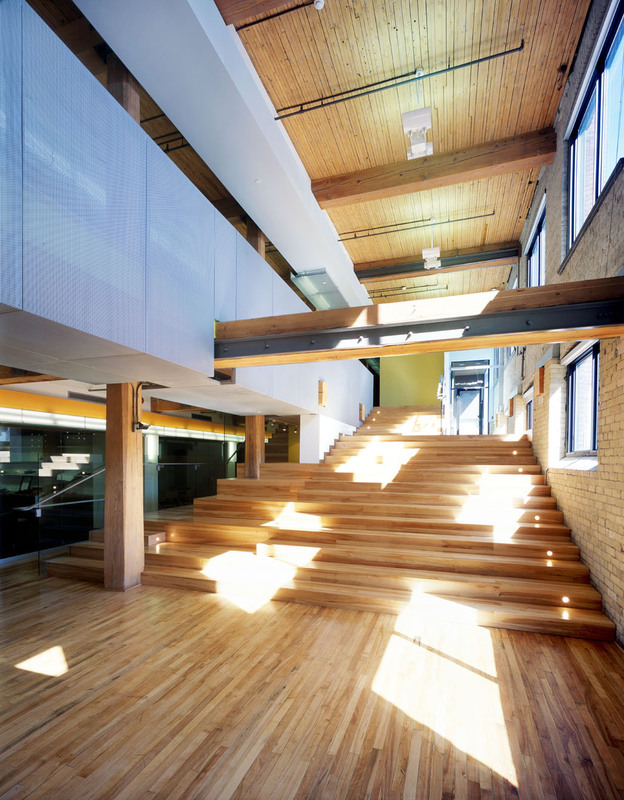 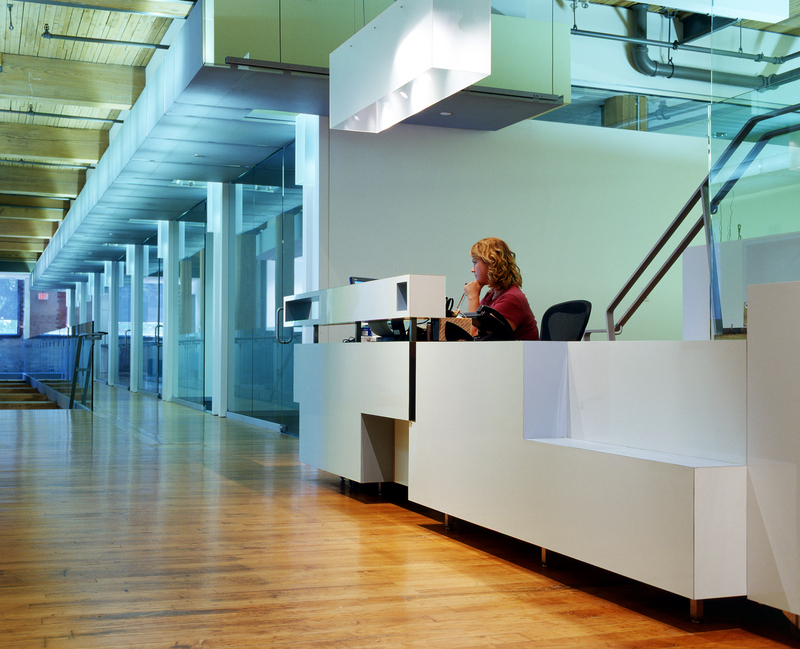 Central offices and studio spaces are located in the core, defining the creative hearth of the firm. 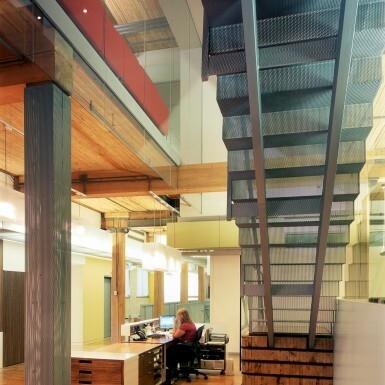 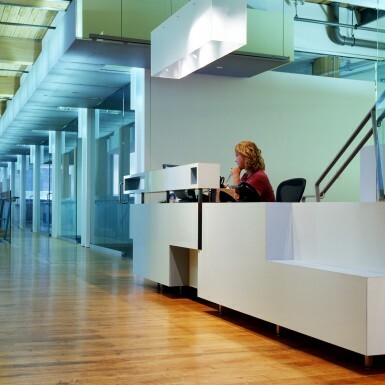 Custom-built furniture allows work stations to adapt to the inconsistencies of the warehouse structure as well as the flexibility of the creative process.